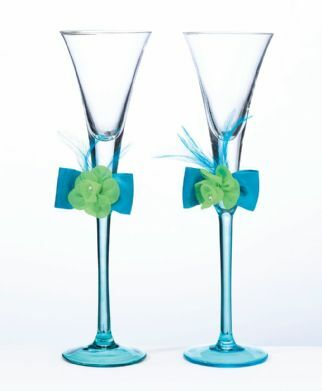 These eye-catching blue/green toasting flutes are beautifully created with vibrant colours. The stem is clear blue with affixed decorations. Each flute measures 10.5" tall.